Are you asking yourself “Does buying Facebook likes really work?”. If so it is a common question. One that a lot of people are asking themselves. 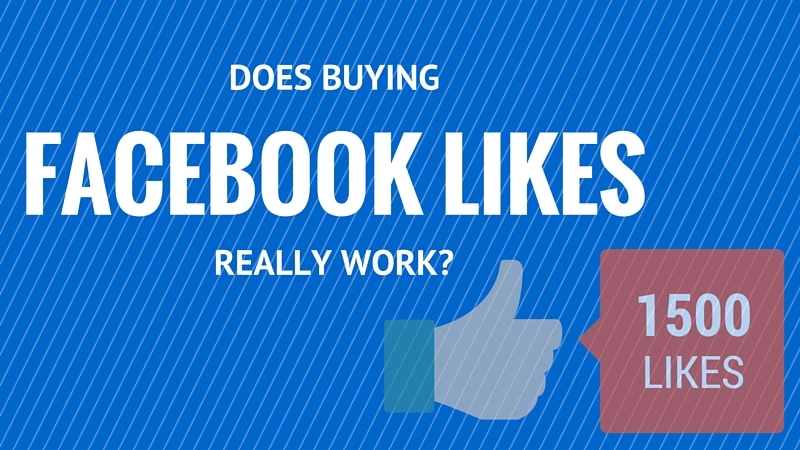 Watch the video above and I will answer the question Does buying Facebook likes really work? You see I actually went out and bought Facebook likes just like you are probably thinking of doing. I bought 1,000 likes off Fiverr.com. Let’s see how it worked out for me. Like always if you can not watch the video about “Does buying Facebook likes really work? ” then I will put the main points below. 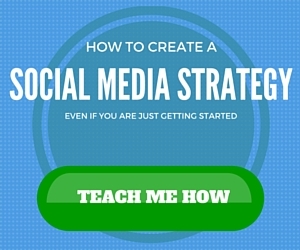 When I first got started with Social Media marketing I just did not know what I was doing. Buying 1,000 likes off Facebook seemed like a quick way to get things started. I thought I would get 1,000 new Facebook likes (which I did). Then I thought I would post stuff to my Facebook page and some of those people would see it. If I got good results with the 1,000 likes I bought I would just buy more. Before long my Facebook page would have 100,000 likes (for only $500). I would be well on my way with Facebook. I paid my $5. The next day I had 1,057 new likes. Wow I thought. I even got 57 extra likes. So I posted an ad to my Facebook page. Out of 1,057 likes about 40 people saw my post. Nobody clicked on the link. Then I did more posts. What I saw was that each post went to less and less people. Eventually my posts were only being seen by 3 or 4 people out of 1,057 likes. When you buy Facebook likes off sites like Fiverr.com I think we all know they are not legitimate likes. What I found out is my likes came from people in Pakistan and Turkey. They probably could barely read English. They didn’t engage with any of my posts. Facebook saw that none of these people were interested in anything I had to say. So the Facebook Edgerank algorithm stopped showing my post. To make matters worse buying Facebook likes is like pouring cancer all over your Facebook page. No matter what I did these 1,057 people were never going to like, comment, or share anything I posted to the page. The page had NO HOPE of ever getting any engagement. Or doing much else for that matter. I had no choice but to shut the page down. It was doomed right from the beginning. So if you are asking yourself “Does buying Facebook likes really work?” then look at my experience. You will get the same results I promise. Buying Facebook likes does not work. The only benefit you will get from it the vanity metric of having a bunch of likes. If that’s all you want from Facebook then go for it. Just don’t expect your posts to anywhere ever with the audience. I like your honesty on the topic. What you experienced makes sense because you are paying for people to push a button, not to read the material and comment on it or reshape the information. Thank you so much. Lee yeah that’s pretty much what it is. wouldn’t be such a big deal but it really matters to Facebook how many people are interacting with your posts. The key is to buy advertising that promotes what your page represents to the right audience so they will happily Like your page. Great article Bryan! Great article, it makes great sense as the same thing happened to me. I also tried the like4like method which is a whole other blog you should post about. Is there a site for the like4like method? Probably will make a good topic. Thanks Mitchell. Hi Bryan.. Great article BTW.. I recently read a similar article but it was about buying Instagram followers. You should read the story of Max Chafkin here https://www.bloomberg.com/news/features/2016-11-30/confessions-of-an-instagram-influencer and probably write a case study about this guys social media experiment. To my best guest he used the services of SocialMediaCombo.com and the results speak for themselves in the article. Once again great job posting. Hey Bryan, great article. I can’t recall where I read this but it was said to never buy FB likes for your business page. However, I also thought if the more likes I had the more people would engage. And the more my business would expand in terms of reaching people. I was wrong bcause you just proved it. What I’m curious about is how did you find out Turkey and Pakistan where your posts reaching? Wichly look under the “insights” tab at the top of your page. they have an amazing amount of info on your audience. I saw almost none of mine were from US or anywhere like that. Thanks Bryan! However, I’m noticing my posts reach more people in different States from where my fans are locating. Would you advise targeting those States for FB ads where my posts are reaching the most people? I would look at the ones that give me the cheapest conversions. I’ve read your experience with bought Facebook likes and I am sad that you were in a position of going through this. I bought my likes from https://www.socialmediadaily.com/facebook, and once I did it, it has helped me boost my page a lot in a very short time. I would totally recommend buying likes in order to gain bigger audience. Maybe you should consider changing the source, since none of the above has happened to me. Great a such beautiful article thanks for sharing this. If you want to become a popular profile owner on Facebook, you need to have only a single thing that is likes.